Pulse or heart rate is an important indicator of the status and activities of the cardiovascular system. For the average untrained human norm is 60 to 89 beats per minute. In athletes, the indicators may be different. Typically, athletes training in speed-strength sports a higher heart rate, than among the representatives of different sports. More modest pulse of those whose training is directed on development of endurance. Also beginners the pulse may be more frequent than experienced. In addition, with age the trained person is the frequency of the beating has a tendency to decline. The highest parameters in young athletes under the age of 15 years, training for speed and power. For them, the rule of 75-80 beats per minute. Those who train for endurance and has crossed the 30 year mark normal secteurs indicators of 45-50 beats per minute. As well as ordinary people, in the supine position heart rate decreases 10 beats, than in the standing position. The women athletes the heart rate can be 7-10 beats less than men of the same age. If an ordinary person's pulse at 60 beats less, he can diagnose bradycardia, athletes ' skiers, marathoners, cyclists-roadies 40-50 beats per minute is considered normal, as over time the heart has learned to work more efficiently. In addition, in this mode of operation improves nutrition and metabolism in the heart muscle. However, if the pulse at 40 beats and less is a serious reason for going to a cardiologist. Also, as with the indicators 90 beats above. Unlike an untrained person, an athlete's heart is able to dramatically increase the frequency of contractions at high loads to provide increased blood circulation in the body. If earlier it was believed that his heart rate above 180 beats per minute – extremely high rate of work for hearts, that in our time the pulse is well-trained athletes can increase up to 200-220 beats without any negative consequences. However, the unprepared man's heart-rate can lead to overexertion. When you exercise on a weight lifting pulse quickens to 120-135 beats per minute. However, many athletes may experience strain if the athlete lifting the weight stops breathing. Therefore, when training with large weights, it is recommended to follow your breath. You should also not forget that heart rate in athletes can vary significantly depending on the lifestyle, environments, feeds, and many other factors, including individual characteristics. Measuring heart rate is one of the most important elements of professional training. Regularly check your pulse during sports should even fans, they just want to increase muscle mass or to lose weight, not to prepare for competition. The fact that the heart rate influences the effectiveness of training by reducing or increasing it. Determine the best for your body's pulse rate. As a rule, the resting cardiac muscle the average person is reduced 70-100 times per minute, the physically strong who exercises regularly – 55-60 times, and a professional athlete – 40-50 times. To calculate the optimal heart rate, which should be established during training, you can use a simple formula. Subtract 220 from your age and then find out what is 75% of the resulting number. You will receive the maximum value allowed. To exceed this rate is not recommended. 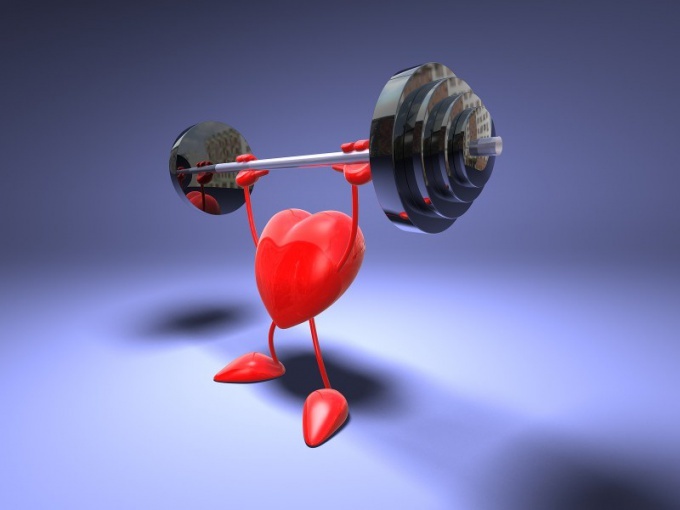 Too intense and long workout, during which the heart muscle is working to the limit, can seriously undermine health. At the same time exercises involving the optimal load on the heart, help to increase the effectiveness of training. For each exercise, measure the pulse at least 2-3 times to keep track of its changes. This must be done during the "recovery phase", ie short periods of respite between heavy exercises. For example, when run after you go to the step, it's time to measure and remember your heart rate. If it is too high, reduce the load physically. The easiest way to measure heart rate is to use a special device. It will not hinder you during training and will not be distracted by calculations. However, to calculate the pulse rate you can yourself. Both beginners and experienced athletes often prefer to measure heart rate by putting finger pads to the inner side of the wrist at the base of the thumb. Count 30 seconds, count the number of "bumps" and then multiply it by two. You can also detect for 15 seconds and multiply by 4. The pulse can also be measured by putting the fingertips on the carotid artery to his head or the femoral artery located in the groin area. 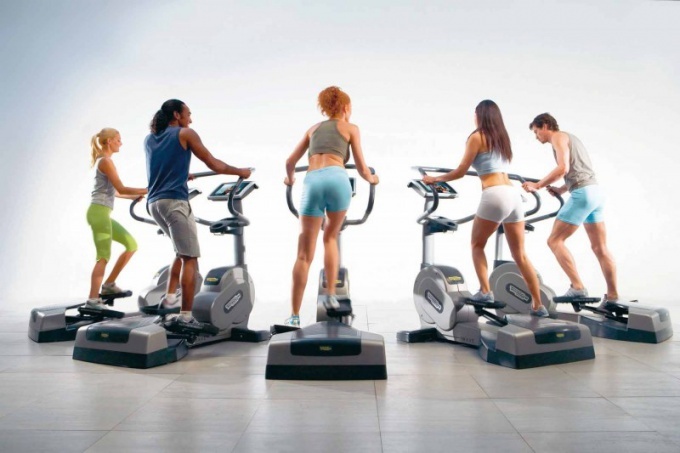 If you are going to the gym, you need to have an idea about the optimum frequency of the pulse. The frequency of the pulse depends on how effective will be the training. The maximum frequency of the human heart rate is 220 beats per minute, the high frequency is physiologically impossible. Take it to the limit in sports is strongly not recommended, only if you are a professional athlete. To find out maximum heart rate, subtract 220 from your age in years. Of course, this method is not very accurate. If possible, it is better to verify the maximum safe your heart rate using special equipment. The equipment will take into account many factors, not just age. There are five pulse areas in which to train. The first is called the zone of recovery of the heart. Heart rate in this zone is 50-60% of the recommended value. To do in this area of the most easy and pleasant, so it is recommended for beginners and having poor health. To achieve this frequency of pulse is possible with the help of walk on a treadmill, training on an ellipsoid, the stepper. In this zone up to 85% of energy will come from fat deposits. Minus a workout – it must be very long to bring fairly quick results. Although pulse conditions and is ideal for fat burning, this process will be slow because of slow calorie consumption. Of the benefits – lowering blood pressure and cholesterol levels. The next pulse zone fitness zone, here the heart rate can reach 70% of the maximum. In this exercise fat burning is more intense than the previous stage. Additional bonuses will be to strengthen the heart muscle and respiratory system. Value in 70-80% of maximum heart rate corresponds to the aerobic zone. Classes in this area will enhance the endurance of the heart muscle, increase the amount of blood vessels. Increases lung capacity, increases strength of heart contractions. In the aerobic zone of the pulse energy is drawn half from carbohydrates and half from fats. It is therefore important to properly organize the meals, otherwise forces training simply will not. In the anaerobic zone the heart rate reaches 80-90% of the limit. Now the energy comes mainly from carbohydrates. In this area are weight training. The last area is very unsafe, as the pulse rate reaches physiological limits. Long-term training in this area is impossible, so it is used only with interval loads. Alternating a few minutes of moderate and 1-2 minutes of maximum loads. What heart rate zone to choose at the gym? Zone selection pulse depends on the goals you pursue at the gym. If you want to lose weight, definitely practice in the area of recovery of the heart or in the fitness area, depending on the state of your health. Aerobic zone choose in the case if you initially enough trained people. If you came to the gym to increase muscle mass, you should train in the anaerobic zone. It enhances endurance and stimulates the growth of muscles.